The Sun, News UK's tabloid, has reported its number of digital subscribers has more than doubled to almost 250,000, less than 15 months after erecting a paywall around its content. In unaudited figures released by the publisher of Britain's most read newspaper, the number of people who access The Sun's digital products has risen from 117,000 last December to 225,000, with most paying £7.99 a month, the equivalent of buying a print copy four times a week. To hep emphasise the growth, the publisher's statement then strips out the 15,000 people accessing digital products through sampling codes in the print edition last year, to claim the number of digital subscribers has "more than doubled". Combining the 225,000 digital subscribers with the latest published ABC figures (October: 1,978,000), The Sun’s total paid sales (Mon-Sat) at 2,203,000 versus 2,253,000 the previous year – represents a decline of 2.2%. This drop in subscribers is considered an achievement amid a wider market that has experienced an annual decline of nearly 8% in the middle/popular sector of the market in October. The Sun on Sunday’s total paid sales stands at 1,846,000 compared to 1,944,000 a year ago – a decline of 5% against a decline of 10.4% for the sector over the same period. 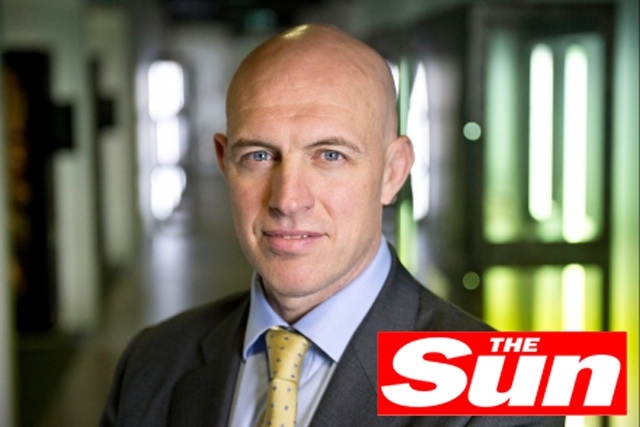 David Dinsmore, editor of The Sun, said: "Our legendary paper is making great in-roads into the digital market, and continuously building on our offer to readers. "These figures are a promising start to our ambitious plans to offer loyal readers unrivalled content on every platform. They also confirm that customers will pay for digital content when it is original and of the highest quality." The publisher's expanding pool of sports rights, perks, online games and enhanced digital editions (smartphone, tablet and web) of The Sun’s news, comment, and entertainment, helped to propel growth into new territories. There have been nearly 2 million views of goal clips this season by people using The Sun’s exclusive Goals app. A weekly Dream Team game that is exclusive to members has also attracted more than 100,000 unique players. Mike Darcey, chief executive of News UK, said: "These figures are a powerful endorsement of our core strategy – providing the best product on every platform and leaving the customer to choose which format suits them. "Our digital bundle is proving increasingly popular, ensuring that the total paid sales across print and digital combined are strong enough to ensure on-going investment in our future."